Repentance is very challenging. It requires an admission of fault and the hope the stain of guilt will be removed. Judging from a human standpoint, repentance is seldom sought after because man has a hard time to forgive. Wrongs are committed against another leading to a spirit of an unforgiving heart. Man finds it hard to forgive others. The greater the harm done against the person, the more difficult it becomes to have a heart of love granting complete forgiveness. Man’s integrity is harsh in wanting revenge. Thankfully, God is not like that. The nation of Israel was in desperate straits. They had done everything they could to anger the Lord as they fell headlong into idol worship. It was not as if they did not know better. Prophets like Hosea pleaded constantly with the people to change their lives submitting to the will of the Lord. Rebellion was in the heart of nation. God instructed the prophets to let the people know of the coming judgment. It came with the harshness of God’s wrath upon unrighteousness. Mixed in the messages of impending doom were also words of hope. There was a righteous remnant that listened to the prophets and the Lord wanted them to hear the power of His love towards them. Calling the people to repentance, the Lord opened His heart to the righteous who sought to follow His will. There would be a tearing as punishment but God would bind up their wounds healing them with His grace. The destruction was not final as He would revive the people and raise them up. God wants the people to live before Him and serve Him. His desire is not to destroy them but to save them. The pity of the Lord is great upon the apple of His eye. Calling the nation to repent God extends His gracious hand of love to show He does not retain His anger forever. The greatest joy of God’s love is to know that as sinful as the people were, He was willing and just to forgive them of their sins. What great love. The mercy of God has never changed. His unchanging love to forgive is the same today as it was in the days of Hosea, the son of Beeri. Sin plagues our lives with its dark cloud of despair. Often the people of God become hopeless believing that forgiveness is not possible. The words of Hosea should resonate within our hearts to come to the Lord seeking His forgiveness. There will be pain in the chastening of the Lord but He will heal us and He will bind our wounds with the balm of Gilead. Sin does not need to overwhelm us when we know that with a penitent heart we seek the grace of God’s love to forgive us. He will revive our spirits again in a new hope. The Lord will raise us up from the pits of death on the third day through the power of His Son. Listen to this: He wants us to live in His sight. He does not want us to destroy ourselves. We are created for the glory of God. Children of God need to know the call to repentance comes from a loving God. Pursuing the knowledge of the Lord will bring the blessed forgiveness of His grace upon us like the beauty of early morning sunrise. As the rain blesses the earth with its bounty of succulent nourishment, so the Lord will forgive His people. His anger is not forever. 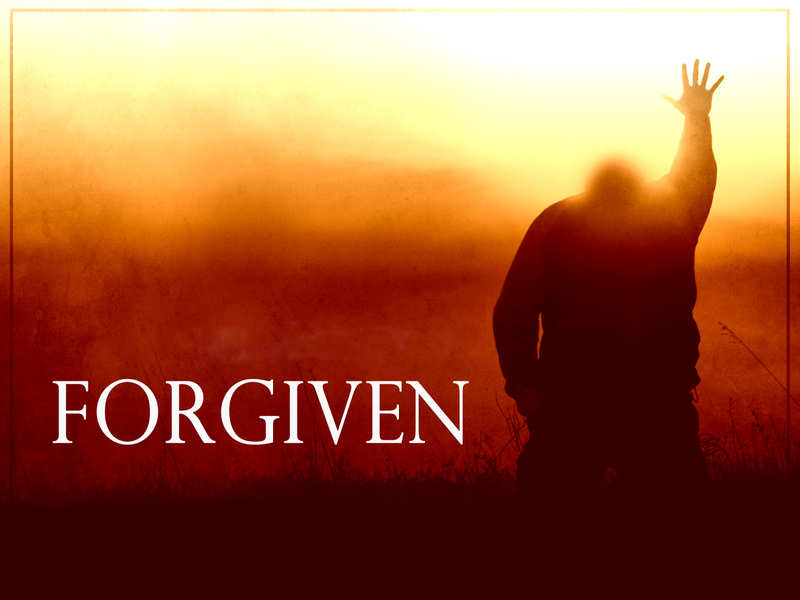 When we bow our knees in prayer seeking the graceful hand of a loving God to forgive us – we will be restored. Thank God for His tender mercies.